Command Post is a fully stocked and staffed paintball and airsoft pro shop and store. Opened in 1994 and sustained by over 30 years of combined experience among its staff members, Command Post has been proudly serving the Phoenix area for over 16 years. 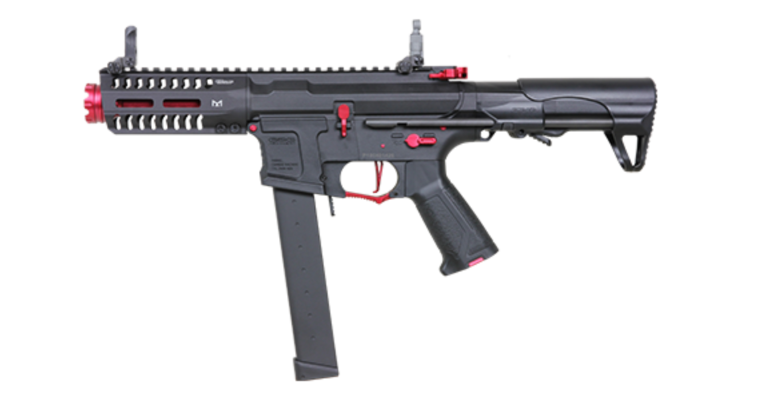 We specialize in selling quality paintball and airsoft guns and equipment at all price levels. You can also drop by the shop for a quick Co2 fill or air fill and a chat with our in-house experts. We are here to supply you with all of your paintball and airsoft needs. Please call today to speak with one of our many knowledgeable staff members who will assist you with all of your paintball or airsoft needs or questions. Disruptive Products Inc is a manufacturer and distributor of paintball, airsoft, guns, gun accessories, ammunition, military and law enforcement equipment. Disruptive Products is proud to serve military, law enforcement agencies, other retailers and players. We are dedicated to our customers and we strive to offer the best in customer service and products available today. Our fully stocked proshop attached to our indoor airsoft arena carries guns, internal parts, upgrades, external accessories, fusion engines, grenades, patches, face protection, bbs, gas, gun cases, mollee, mags, batteries, chargers, gear, uniforms, and more! Brands include: G&G, Krytac, KWA, Echo1, Elite Force, VFC, H&K, Knights Armament, APS, ASG, Polar Star, Valken, Socom Gear, Walther, Bravo, Daniel Defense, DangerWerx, MadBull, Magpul, Matrix, NCStar, Noveske, PTS, Strike Industries, WE, Enola Gaye, Modify, MapleLeaf, ProWin, RA-Tech, SHS and SPEED. All guns over $50 include a 30 day repair warranty!